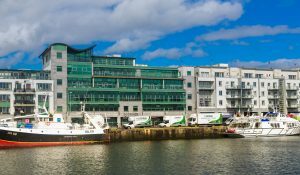 Galway Removals & Storage – Moving couldn't be simpler! Corrib Removals & Self Storage – a price to suit all budgets! Small and large office removals. Assigned Move Manager to coordinate the move. Removal of I.T. equipment and all furniture. Disassembly and reassembly of employee work stations, cubicles and any furniture that is necessary. Individual steel partitioned units, each with their own lock and key. Different sized units to suit all budgets. Removals arranged at very competitive rates. Dear Siobhan, on our daughter’s recent move to the UK, Harry Potter could not have been more helpful or done it better than your guys. Your own estimate of the volume of goods was unbelievably accurate. I was amazed at how they managed to pack it all in and with such care and attention. Well done and thanks to all. Thanks so much for service provided. The guys provided an excellent service on the day. They were so careful with our belongings and every single item from beds to cups arrived in perfect condition – they are true professionals. Dear Siobhan, I wish to thank you and the great team you sent us last Monday to help me move my effects from Gort to Lettermore. The lads were so efficient and careful with my belongings.They made the move so easy for me and they couldn’t have been more helpful or patient. I would highly recommend you to any of my colleagues moving. Dear Siobhan Thank you to yourself for such pleasant and straight forward interaction in getting the deal done to appoint Corrib Removals. Can you please pass on a big thank you to the 8 guys who were here on Friday and Saturday. They did a great job, they were very courteous and helpful – we are delighted with the move. Thanks again on a job well done. Dear Siobhan, Many thanks for the great service last Wednesday. The guys did a great job but also they were so patient and helpful in every way. They made a difficult task very easy for me. I can complain easily if there is reason but on this occasion everything was quite the opposite. When Danielle, the kids and I moved to Glasgow last summer, Corrib Removals were a huge help. Efficient and careful, but most of all a really friendly service. Are you moving to a new home in Ireland or abroad? Corrib Removals can help you make the move to your new home seemless. Whether you're moving offices or relocating employees or equipment, we know that any downtime costs your business money, which is why we listen to your needs, discuss everything with you in detail, and plan ahead. 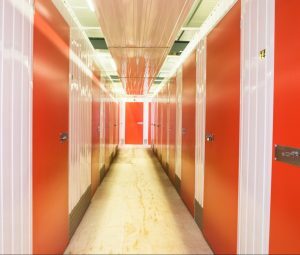 Our modern, state of the art and secure self storage facilities offer you a safe and secure place in Galway to store your belongings at competitive prices.